The finest hotels, bed & breakfasts, guest houses, apartments and holidays rentals in Paris. Alternatively, you might like to take a look at out sister site, Paris UniversityRooms. Paris is the third most visited city in the world. Considered the most beautiful and most romantic of all the destinations, the French capital is full of cultural and historical attractions and is very influential in the fields of culture, art, fashion, gastronomy and design . Often referred to as the "City of Light", Paris has retained its magic and splendour through time. It is said that you should visit Paris at least once in your life and then keep returning. Paris with its major important monuments, including the Eiffel Tower, the Arc de Triomphe, Notre Dame and its institutions such as the Louvre, the Musée d'Orsay, the Pompidou center ...is remarkably unique. In the live show sector Paris offers countless theatres, concert halls, events and one-off shows, temporary exhibitions - a calendar which is filled throughout the year. Last but not least, Paris is known as one of the major fashion and chic capitals of the world with its shopping paradises in the department stores on Boulevard Haussmann, the shops of Saint Germain des Pres, the luxury Avenue Montaigne. The earliest archaeological signs of permanent settlements in the Paris area date from around 4500–4200 BC, with some of the oldest evidence of canoe-use by hunter-gatherer peoples being uncovered in Bercy in 1991. 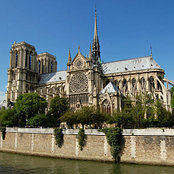 The Parisii, a sub-tribe of the Celtic Senones, inhabited the area near the river Seine from around 250 BC, building a trading settlement on the island, later the Île de la Cité, the easiest place to cross. The Romans conquered the Paris basin around 52 BC, with a permanent settlement by the end of the same century on the Left BankSainte Geneviève Hill and the Île de la Cité. The Gallo-Roman town was originally called Lutetia, or Lutetia Parisorum but later Gallicised to Lutèce. After a period of decline and by AD 400, Lutèce, largely abandoned by its inhabitants, was little more than a garrison town entrenched into a hastily fortified central island. The city reclaimed its original appellation of "Paris" towards the end of the Roman occupation, around 360 AD. In 1590 Henri IV unsuccessfully laid siege to the city in the Siege of Paris, but, threatened with usurption from Philip II of Spain, he converted to Catholicism in 1594, and the city welcomed him as king. The Bourbons, Henri's family, spend vast amounts of money keeping the city under control, building the Ile St-Louis as well as bridges and other infrastructure. 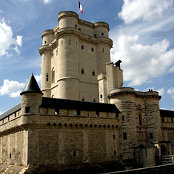 The 17th century was the "Age of Enlightenment" – Paris' reputation grew on the writings of its intellectuals such as the philosopher Voltaire, and Diderot, the first volume of his “Encyclopédie” being published in Paris in 1751. At the end of the century, Paris was the centre stage for the French Revolution; a bad harvest in 1788 caused food prices to rocket and by the following year the sovereign debt had reached unprecedented levels. On 14 July 1789 Parisians, appalled by the King’s pressure on the new assembly formed by the Third Estate, took siege of the Bastille fortress. The Republic was declared for the first time in 1792. Following the Terror, the French Directory held control until it was overthrown in a coup d'état by Napoleon Bonaparte. Napoleon put an end to the Revolution and established French Consulate, and then later was elected by plebscite as emperor of the First French Empire. The greatest development in Paris' history began with the Industrial Revolution creation of a network of railways that brought an unprecedented flow of migrants to the capital from the 1840s.